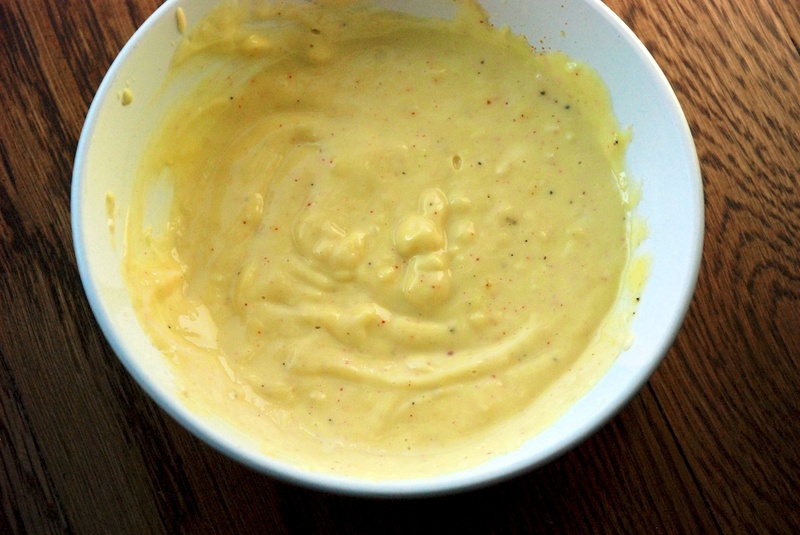 Life lesson: when making a mayonnaise or aioli, it is advisable to find yourself an able-bodied Frenchman. Because here is the thing—you really have to beat the bejesus out of that thing. Your arm should hurt when you are done. 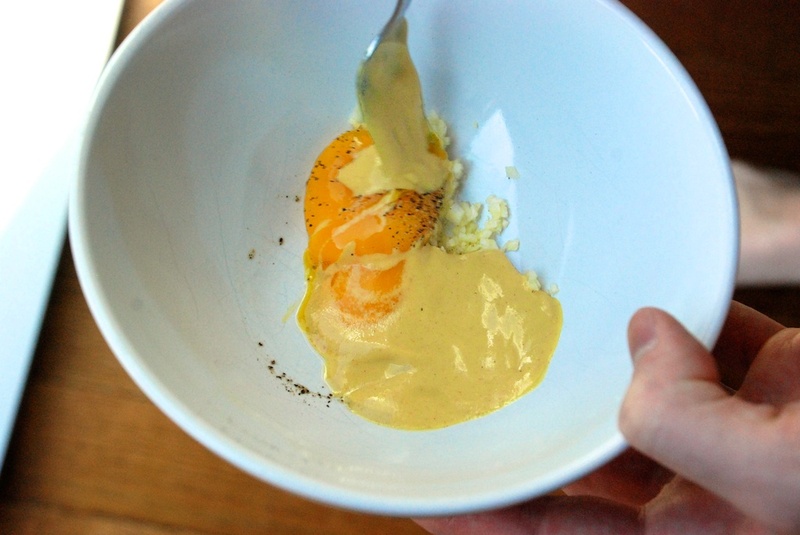 Further advice: it is not sagacious to ask your Frenchman to make said aioli when he is trying to get ready for work in the morning, although if you ask very sweetly, he will probably do it for you anyway. 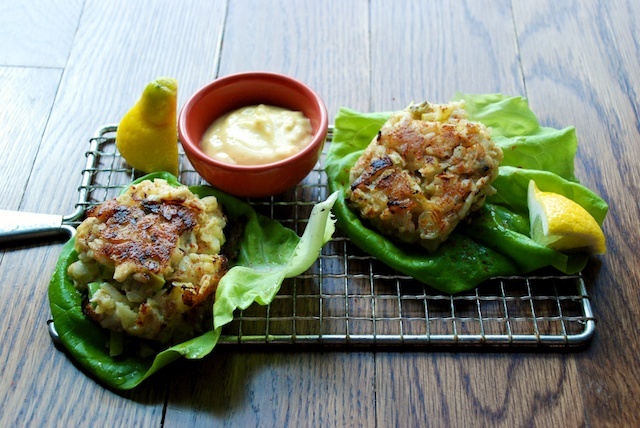 I have been meaning to make crab cakes for a while, mainly because previously mentioned Frenchman adores them, and because I spotted some lump crabmeat at the fishmonger the other day. (It really doesn’t take much.) 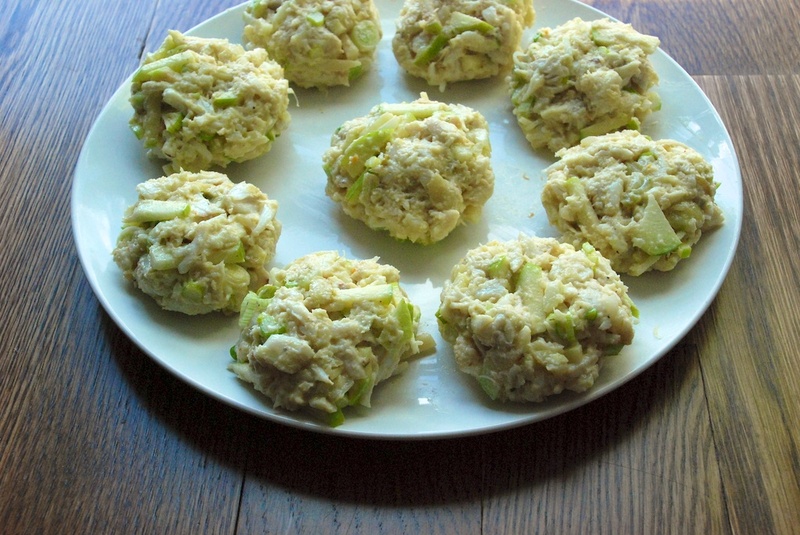 Before you get yourself into a tizzy, let me concede up front that these are not “traditional” crab cakes. I added a couple extra ingredients I thought would complement the taste of crab, without overwhelming it. And while I am making admissions, let me also say that this is not technically an aioli either, which would have included olive oil. 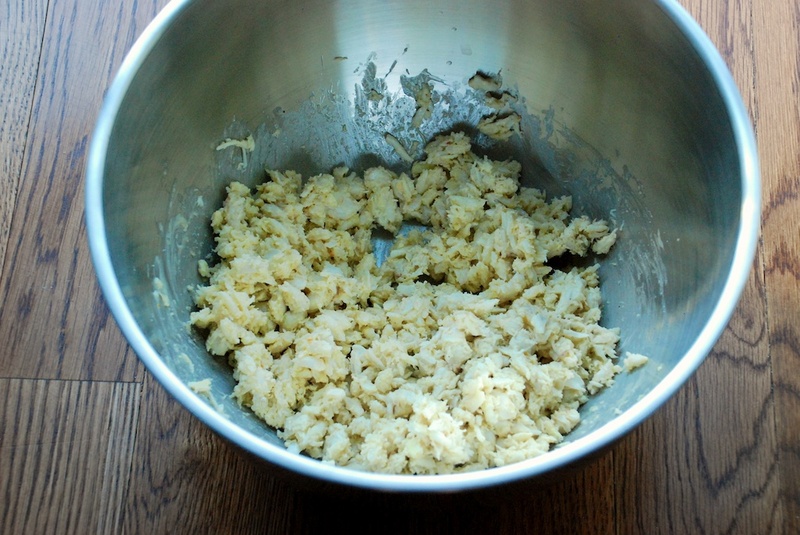 I wanted to use a neutral oil, because again, I was looking to let the taste of crab shine. Since these need to hang out in the fridge for a few hours, feel free to make them the morning of. 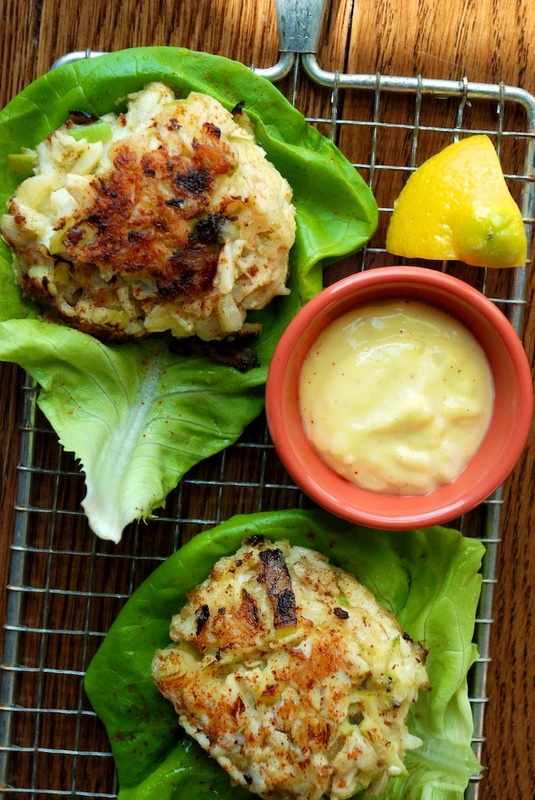 You should be left with a little extra aioli, which I suggest serving alongside the crab cakes, in addition to lemon wedges and an extra sprinkling of cayenne pepper or hot sauce. You could also toss the extra aioli with some roasted potatoes as an accompaniment, which I promise will be delicious. 2. 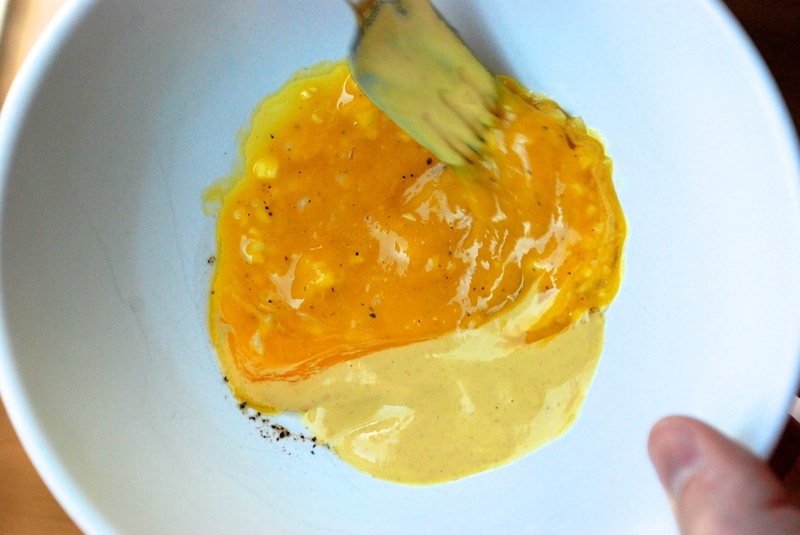 Add 1 tablespoon of Dijon mustard and a few generous turns of the pepper mill. 3. 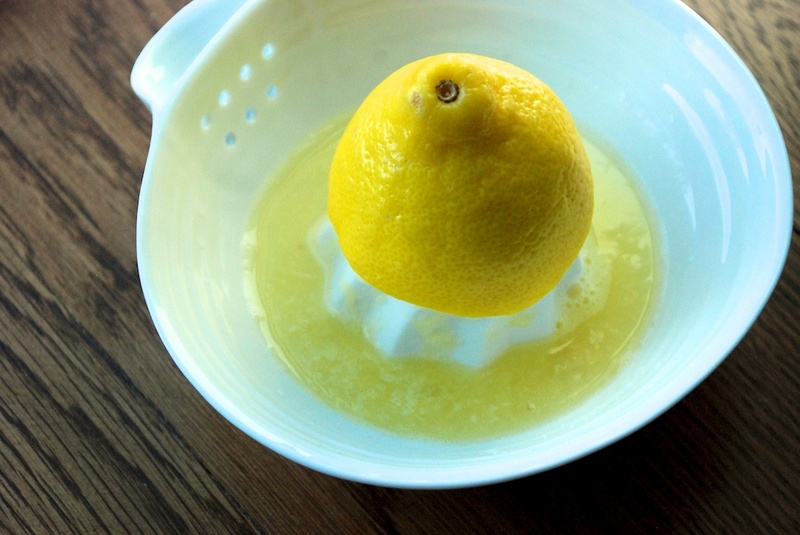 Slowly incorporate the oil in a thin stream, while constantly beating with a fork or a mini whisk. 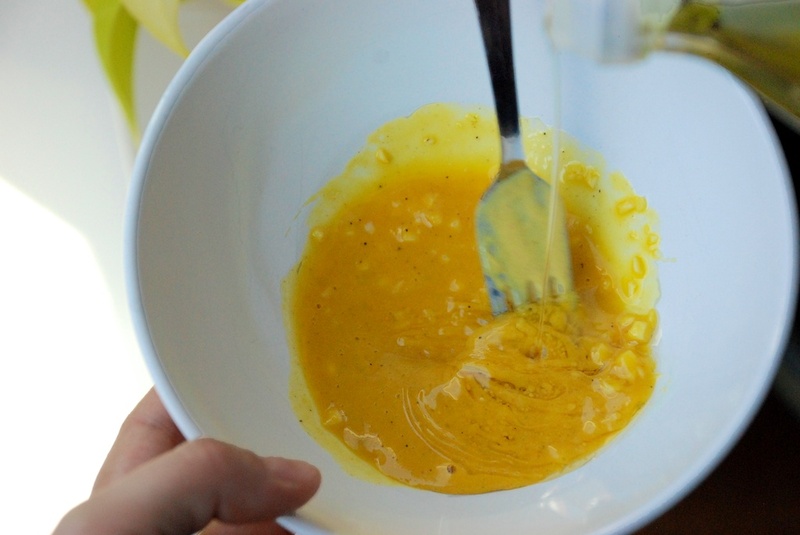 Continue whisking for about 5 minutes, until the aioli has risen in the bowl, turned a very pale yellow and has a consistency firm enough to stick handily to the back of a spoon. 1. 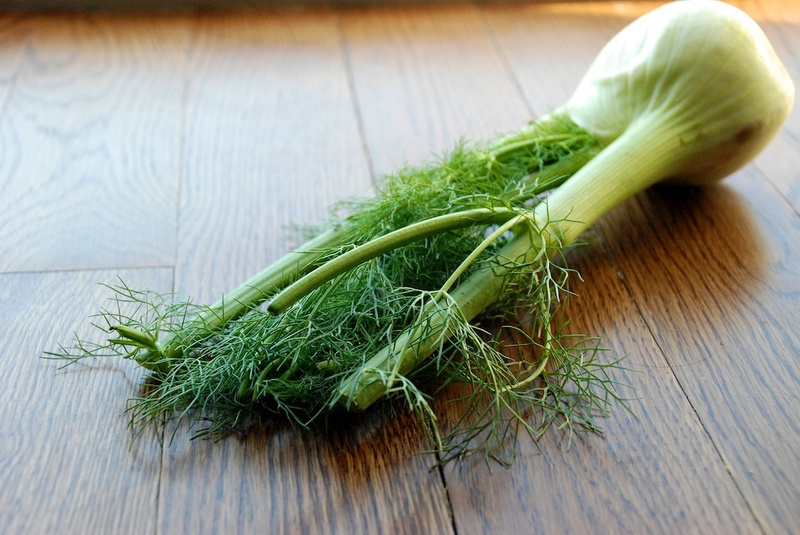 De-stem then fennel, and peel the top layer of the bulb. 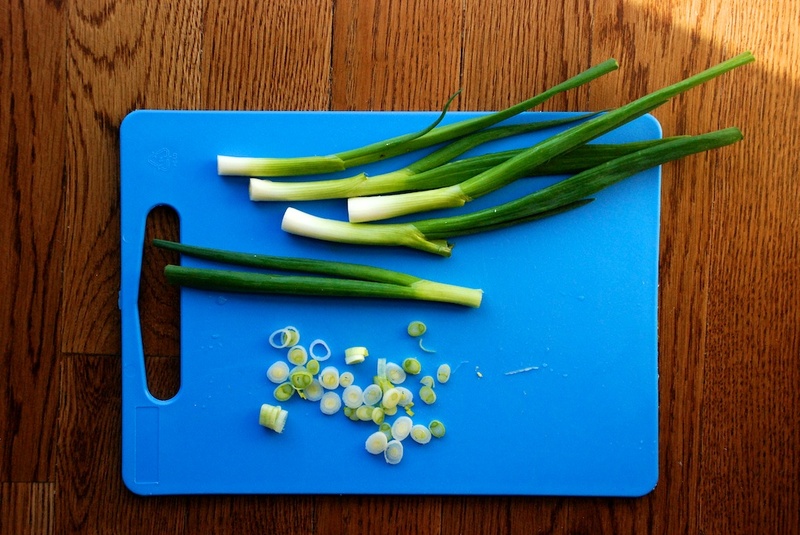 Halve the bulb, and lay each half flat-side down on your cutting board; slice thinly. 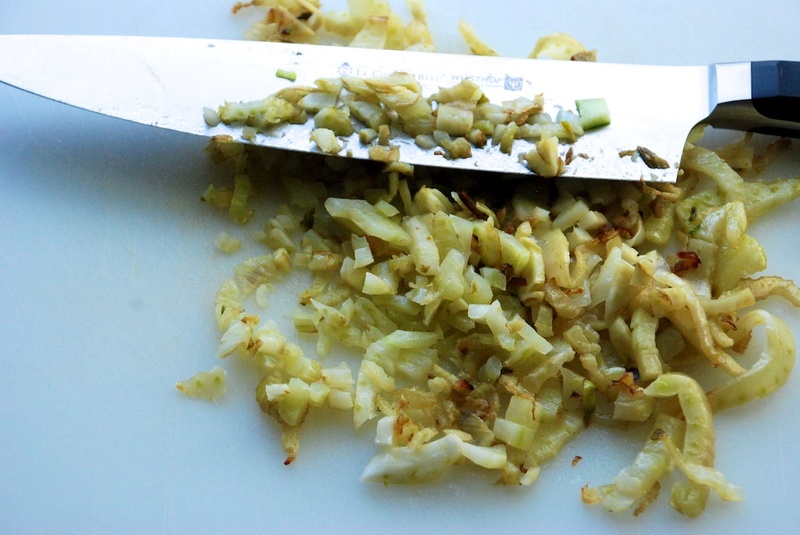 Sauté the slices over medium-low heat with the olive oil, until soft. 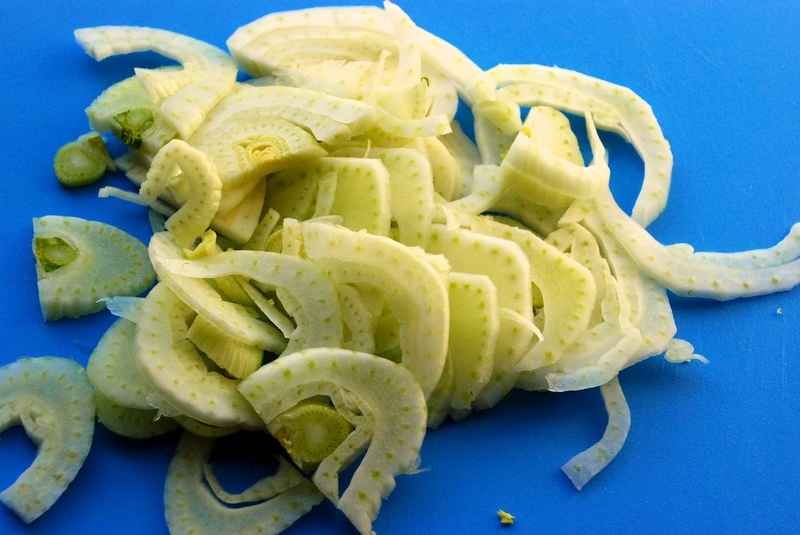 Let the fennel cool slightly, and then roughly chop it. 2. 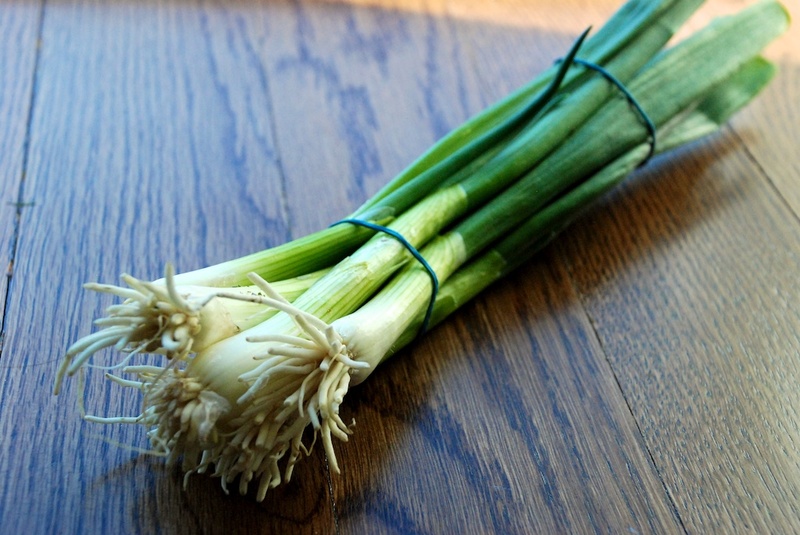 Wash and de-root your scallions; thinly slice the whites. 3. 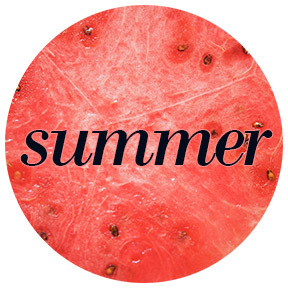 Halve and core your apple. 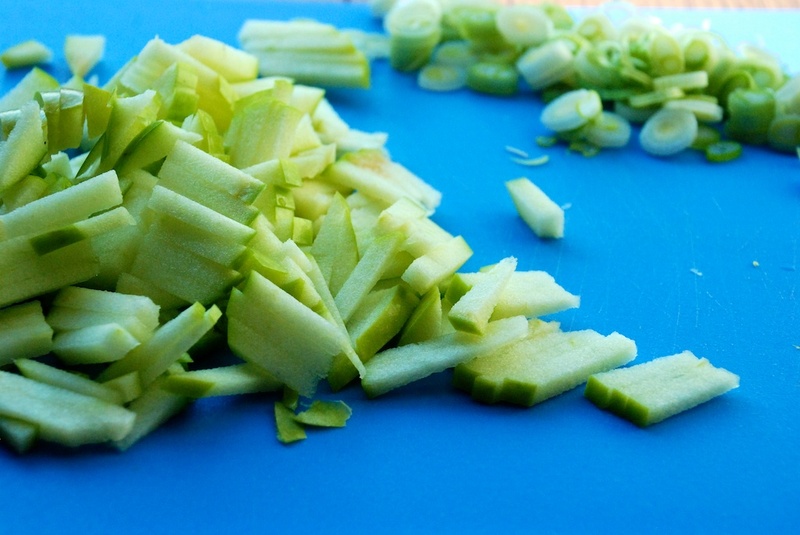 Lay the flat sides on your cutting board and thinly slice crosswise and then lengthwise—you are making small batons of apple. 1. 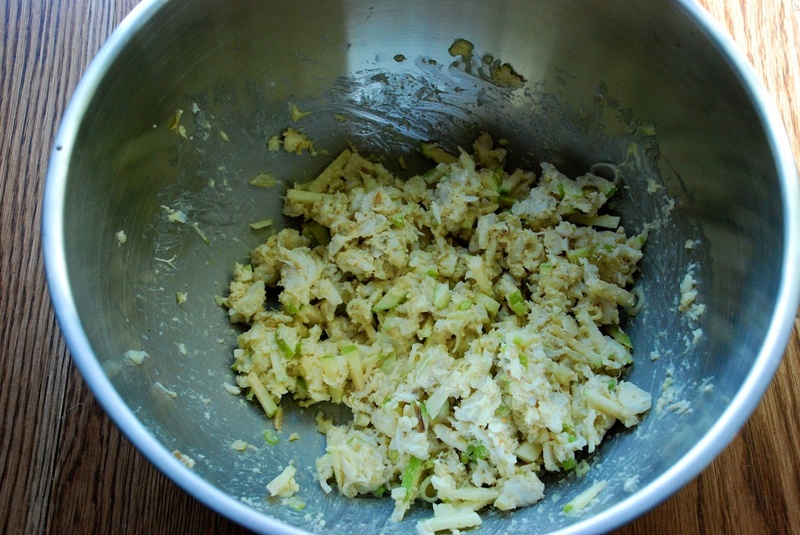 In a large bowl, gently mix the crab with ¾ cup of the aioli, a few tablespoons at a time. 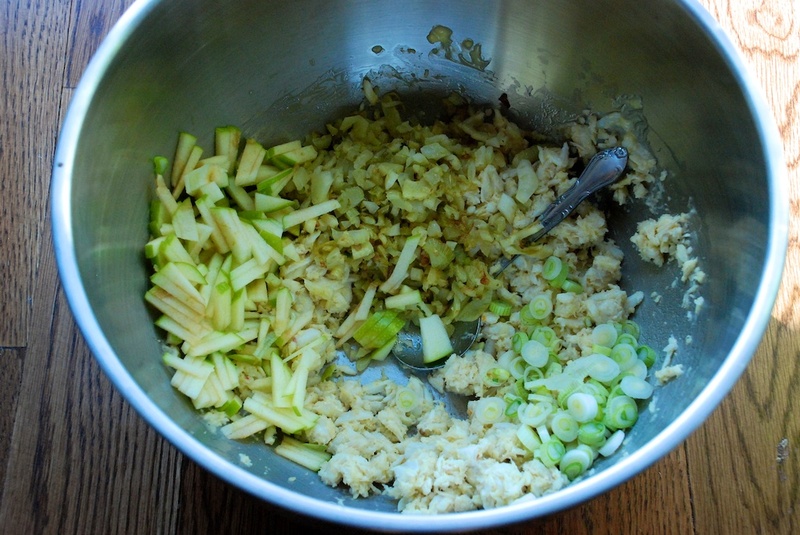 Incorporate the panko breadcrumbs, and then fold in the fennel, scallions and apple. 1. 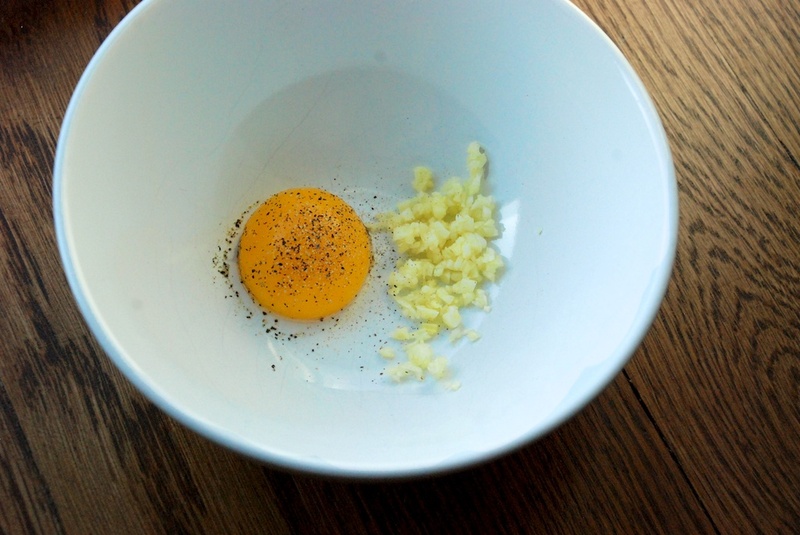 In a wide sauté pan or shallow Dutch oven, heat some canola oil and butter over medium heat. 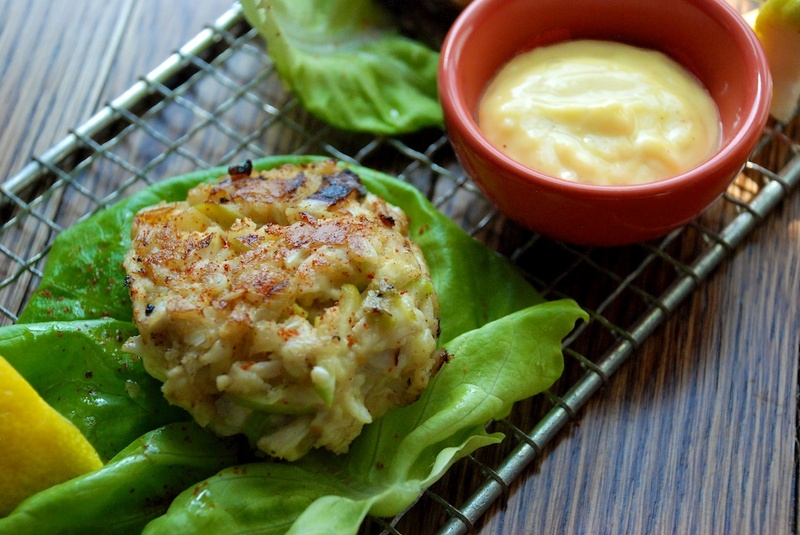 Cook the crab cakes a few at a time, making sure not to crowd the pan. Cook them for a few minutes on each side, or until they are golden brown. 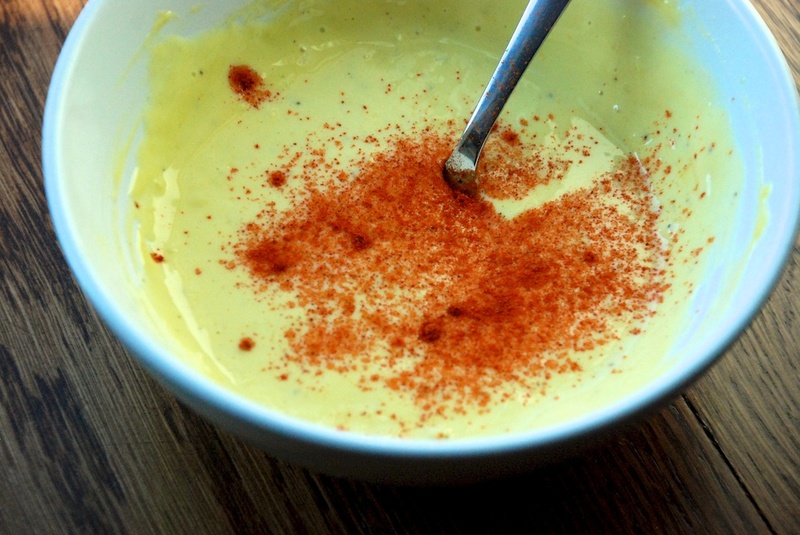 Serve with the extra aioli, lemon wedges, cayenne pepper and/or hot sauce.